So really n00b question but would I like the ribs marinate in this over night or is this something that just goes on a bit before I put them on the smoker? I wouldn't marinated them. Just put a dry rub on and use that as a sauce/mop. These are going on the smoker soon. Wish me luck! Made up your rib sauce and the girlfriend (who is the pickiest eater) loved it! Thanks. What are these can't really tell? 12) Add a light layer of honey (like I do like when I snapped the pic!! 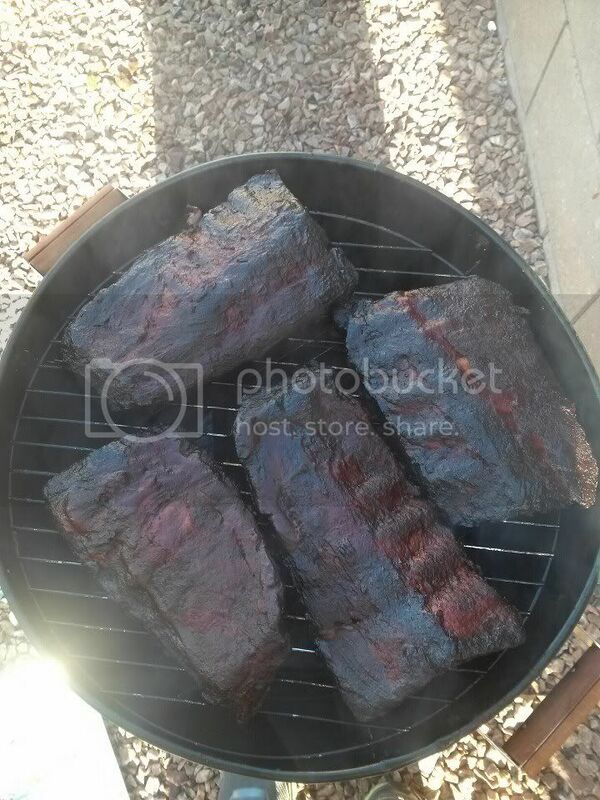 ), or BBQ sauce ouf your choice and close the smoker. 13) 15-20 minuter later they're ready to eat! The two on the right are the ones I cooked using this recipe and method from GloryDayz! Dude I loved these so much, easily my favorite ribs I have ever had. Sweet and spicy all in one. They look pretty dark because we both like some good bark but even with how done they look they just fell off the bone. I was stunned. 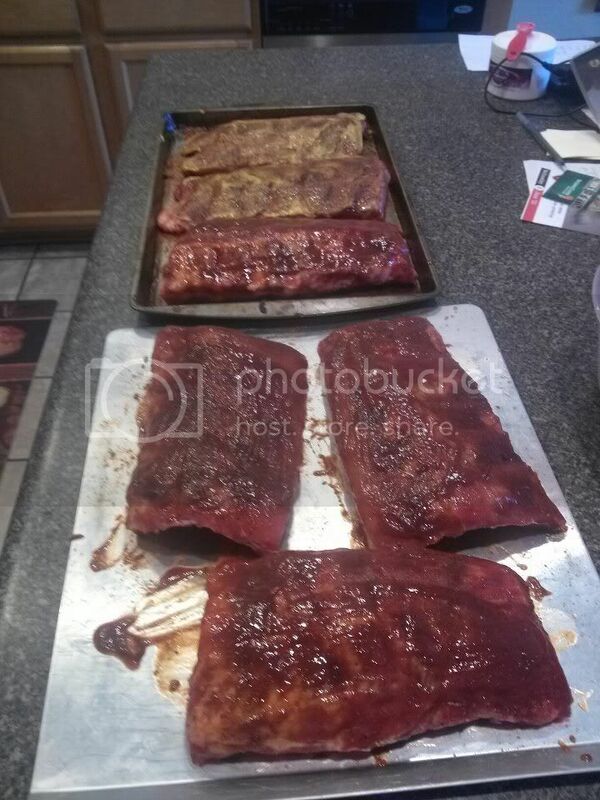 Cooked the other four ribs on the left pan with this sauce from Flachief58. My girlfriend like these the best! These to me came out a bit too done IMO but they were still damn good. 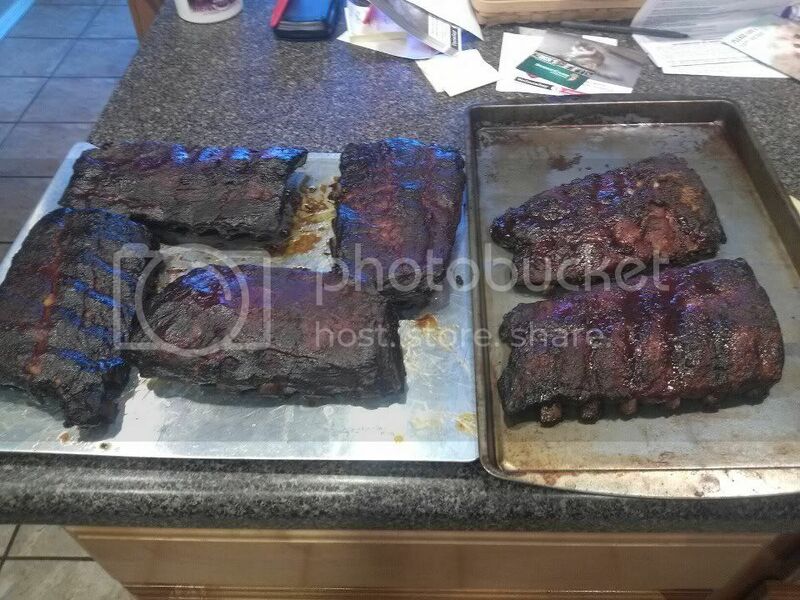 Not fall off the bone, but I don't believe all good ribs have to fall of the bone to be good. I added some sauce when served and it really provided a great flavor.